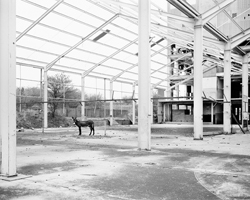 STEVENSON is pleased to present a solo exhibition of new work by Jo Ractliffe. 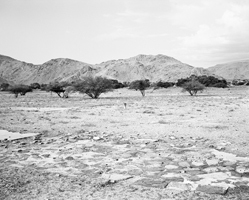 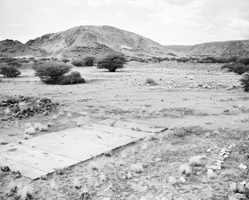 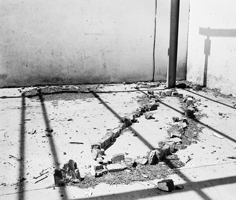 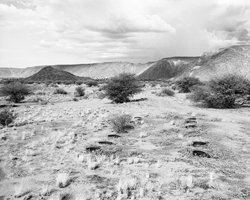 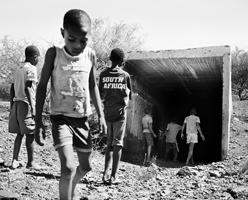 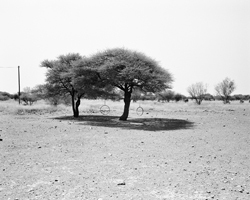 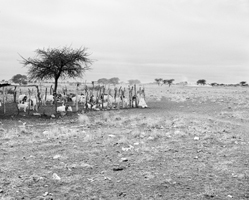 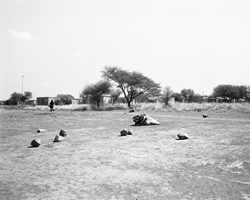 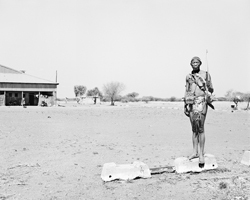 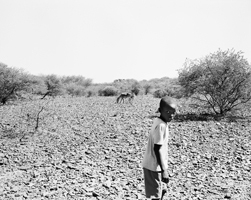 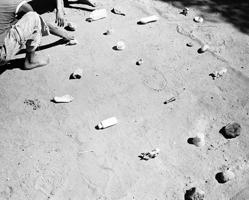 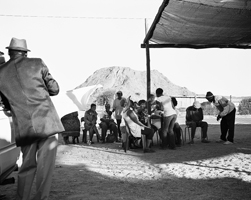 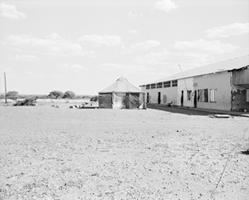 Since 2007 Ractliffe's photography has focussed on the aftermath of the war in Angola. 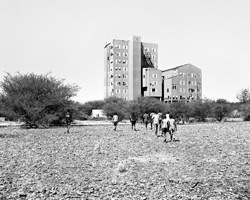 Terreno Ocupado (2008) explored the social and spatial demographics of Angola's capital city, Luanda, five years after the civil war had ended. 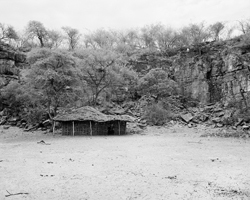 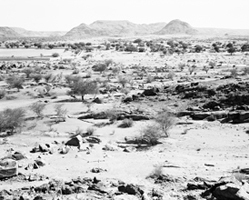 That series was followed by As Terras do Fim do Mundo (2010), which looked at the landscapes of war in southern Angola. 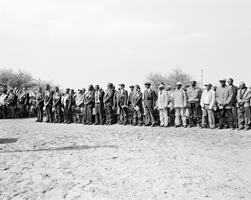 For most South Africans Angola was perceived as a distant elsewhere - 'the border' - where brothers and boyfriends were sent as part of their military service. 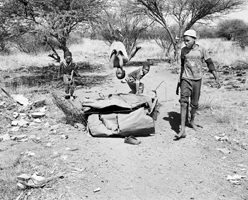 Now, over two decades since Namibia's independence and the withdrawal of SADF troops from the region, the 'Border War' remains something with which much ignorance and shame - for some, even betrayal - are associated. 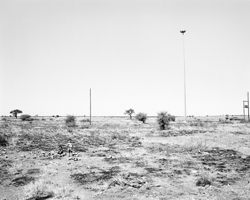 During the making of As Terras do Fim do Mundo, I became curious about whether traces of the war could be found within South Africa's borders. 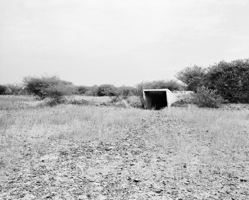 I was interested in exploring the idea of a militarised landscape. 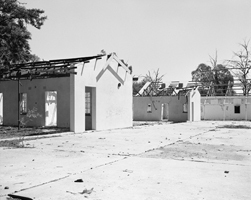 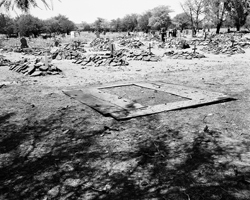 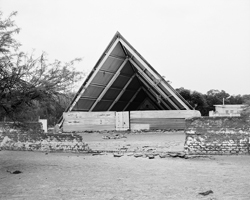 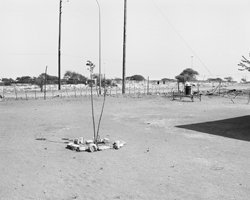 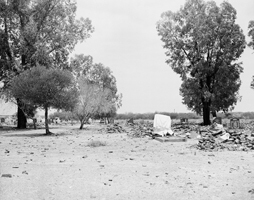 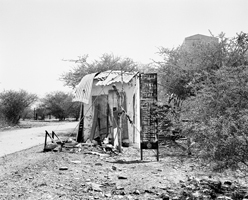 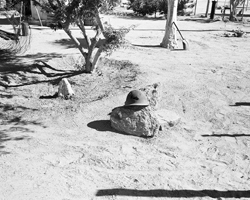 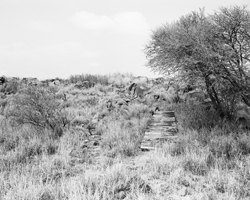 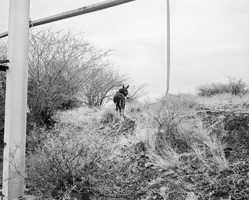 But rather than spaces connected with the usual apparatus of South Africa's military, I wanted to search out sites that were intricately connected to that war. 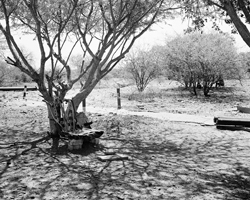 Ractliffe identified and photographed at three primary locations: Pomfret, Kimberley (including Schmidtsdrift and Platfontein) and Riemvasmaak - see below for detailed notes on locations. 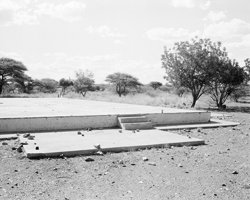 All of these sites were occupied by the SADF during the mobilisation of the war and its aftermath. 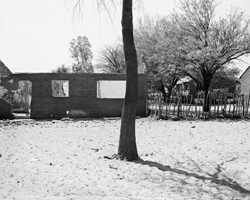 They also share histories of violence and dispossession during the apartheid era and, since our new democracy, reconciliation and redress. 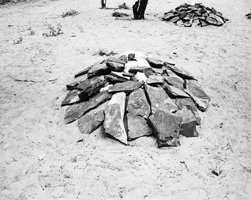 Ractliffe is interested in the intersection of these histories, how they impact now, in the present life of these places. 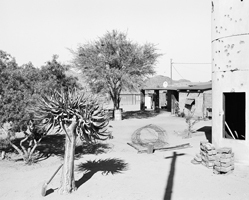 Ractliffe (born 1961 in Cape Town) has exhibited extensively in South Africa and internationally. 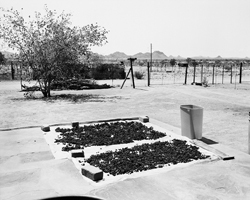 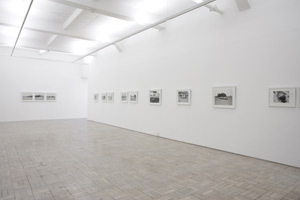 Her series As Terras do Fim do Mundo has shown at the Walther Collection Project Space in New York (2011); Fotohof in Salzburg, Austria (2012); the Museet for Fotokunst in Odense, Denmark (2013); and the 2011 Rencontres d'Arles photography festival where she was a nominee for the Discovery Prize. 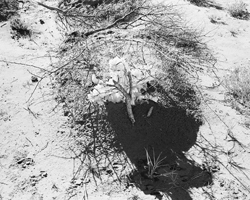 Selected images from Terreno Ocupado were shown at the seventh Gwangju Biennale, Korea (2008). 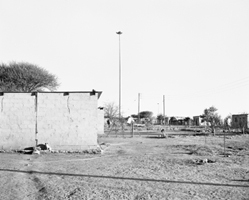 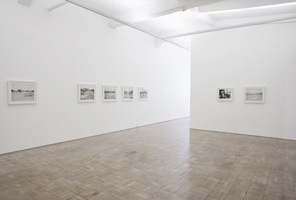 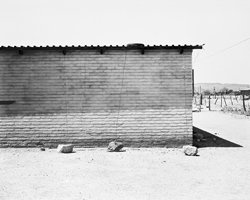 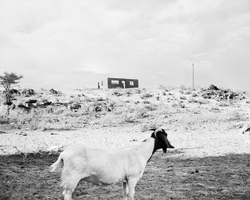 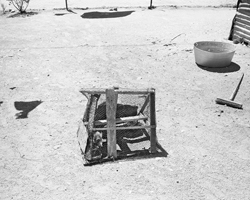 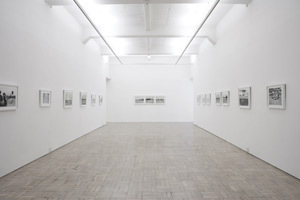 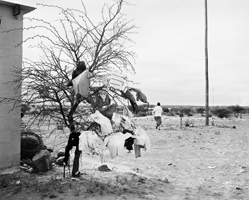 Recent group exhibitions include My Joburg at La Maison Rouge, Paris, and Present Tense at the Fundação Calouste Gulbenkian, Lisbon (opening 21 June); Rise and Fall of Apartheid: Photography and the Bureaucracy of Everyday Life, International Centre for Photography, New York, and Haus der Kunst, Munich (2012-13); New Topography of War, Le Bal, Paris (2011); and Events of the Self: Portraiture and Social Identity, The Walther Collection in Ulm, Germany (2010). 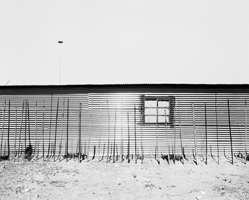 Ractliffe will exhibit concurrently with Simon Gush. 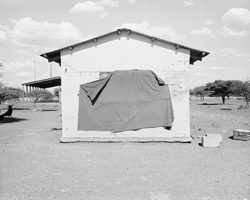 The exhibitions open on Thursday 25 July, 6-8pm. 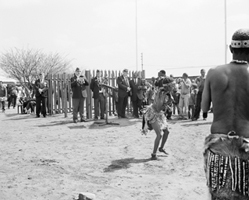 Ractliffe will give a walkabout in support of the Friends of the South African National Gallery on Friday 26 July at 11am. 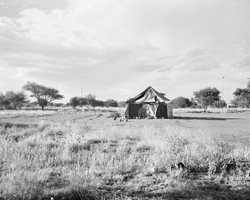 Entrance is R20 (members and non-members); all are welcome. 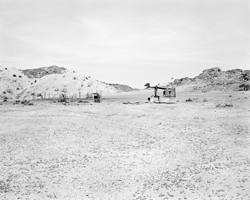 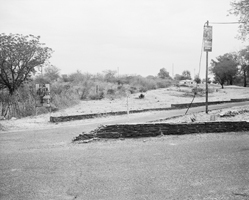 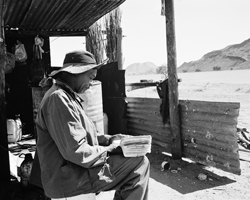 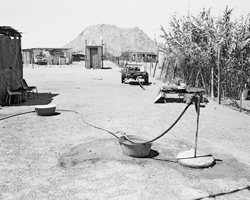 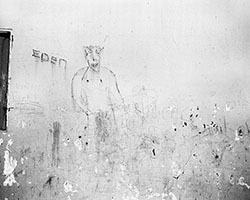 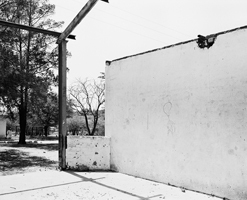 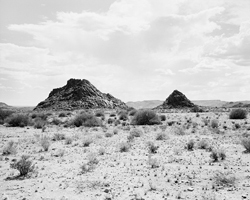 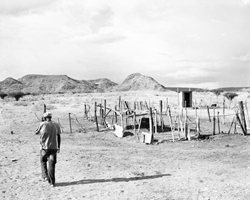 My first visit to the abandoned mining town of Pomfret was in 2002, during a photographic trip with David Goldblatt who was then working on a project about asbestos. 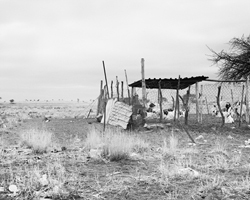 Located in the far north of South Africa near the Botswana border, Pomfret was not even on our maps. 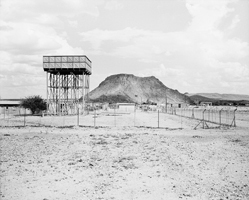 On arrival, we discovered that after the closure of the mine, Pomfret was converted into a military base and used to accommodate 32 Battalion, an elite Special Forces unit made up of white South African officers and black Angolan soldiers. 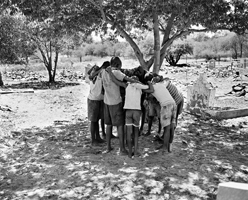 While the unit was disbanded in 1993, most of the Angolan veterans remained there with their families, living in abject conditions and in a precarious relationship with local communities and the state. 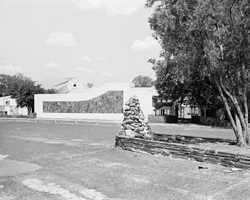 Schmidtsdrift was originally occupied by Tswana-speaking Batlhaping and Griqua clans. 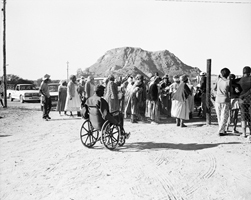 From the 1950s through to the early 70s, various forms of forced removal were implemented and local communities were relocated to remote areas in the northern part of the country. 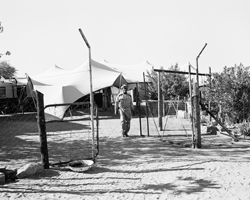 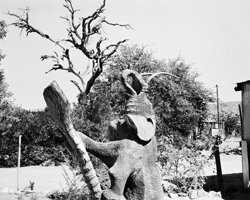 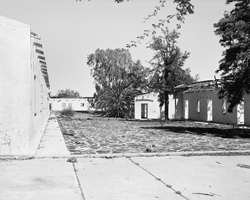 In 1974 Schmidtsdrift was acquired by the SADF and used as a military training base. 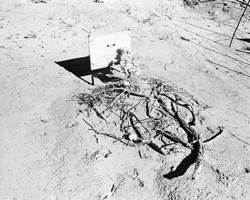 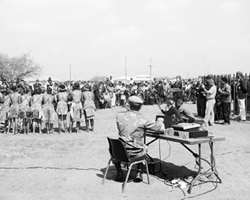 At the end of the war members of 31/201 Battalion, a Special Forces unit made up of Angolan and Namibian San trackers, who served in the SADF during the war, were relocated to Schmidtsdrift, with the intention of settling them permanently in the area. 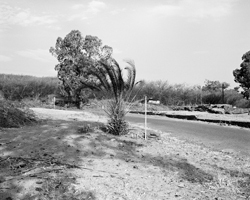 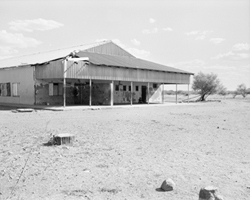 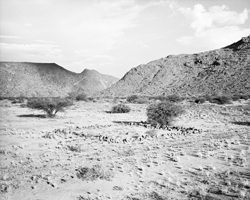 In 1992 however, the original communities lodged claims on this land, which were settled in 2002. 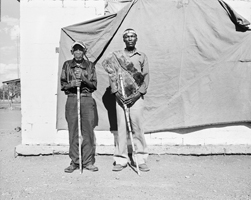 After living in tents for 14 years, these San veterans were finally relocated to nearby Platfontein where they live today. 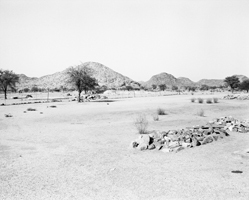 Riemvasmaak lies near the Orange River in the Northern Cape close to the Namibian border. 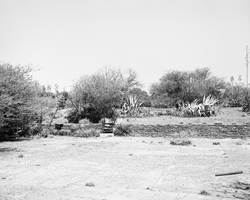 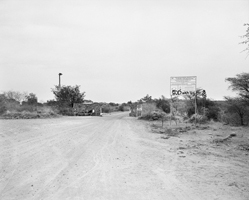 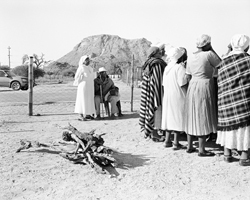 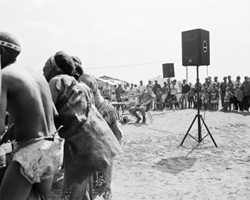 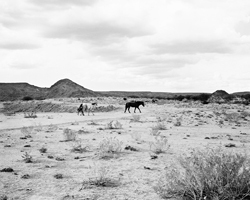 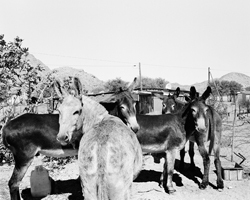 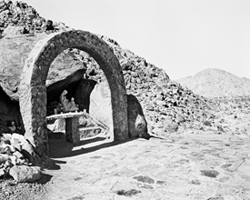 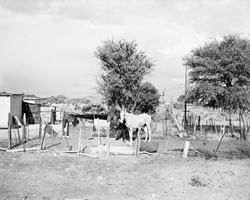 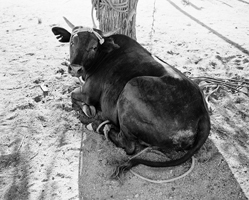 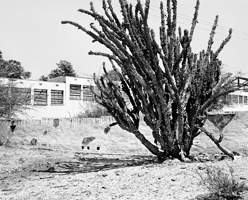 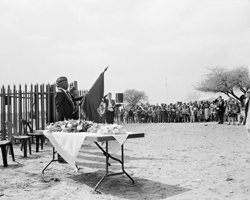 In the early 1930s permission was given for different communities to settle in the Riemvasmaak area; these included Xhosa speakers, people of Damara, Herero and Nama origin, and 'coloured' pastoralists. 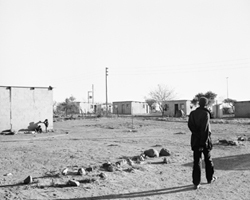 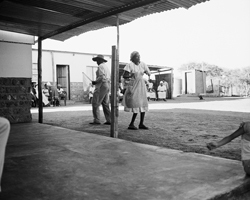 In the early 1970s however, the apartheid government began the forced removal of these communities. 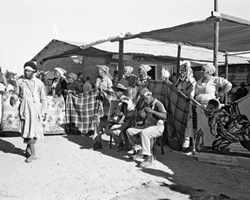 Those with Xhosa surnames were sent to the Transkei area in the Eastern Cape; those with Nama ancestry to Namibia, and others to the western Cape and Boland. 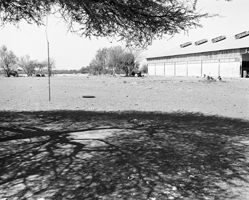 The 'emptied' land was then used as a military testing site all through the 1980s when the war was being fought in Angola. 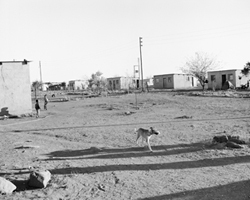 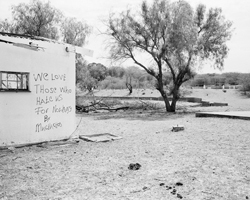 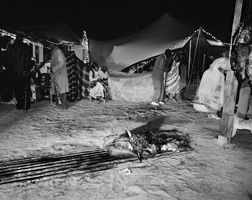 In 1994 a process of land restitution was put in place, with returning families and communities first living in tents and then in houses built by the state. 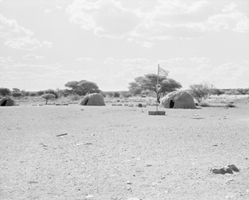 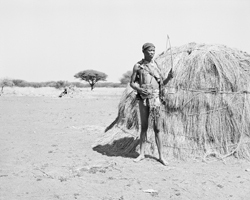 Most of the Riemvasmaakers are semi-nomadic subsistence farmers who hold the land communally.